The iGEM 2014 season has officially begun! Team registration is now open for the Collegiate Division. On this newsletter we have useful links on how and when to register, as well as some tips to help you get started! • Registration is open until March 31. • Team Registration Fee is $3500. • Special Offer: Register and pay by February 28 and save $500. • Remember you will need to have TWO instructors, one of whom must be a faculty member or professor. • Student primary contact (optional): this year the team also has the option of formally designating a student primary contact. All communications sent to the instructors will also be sent to the student contact. 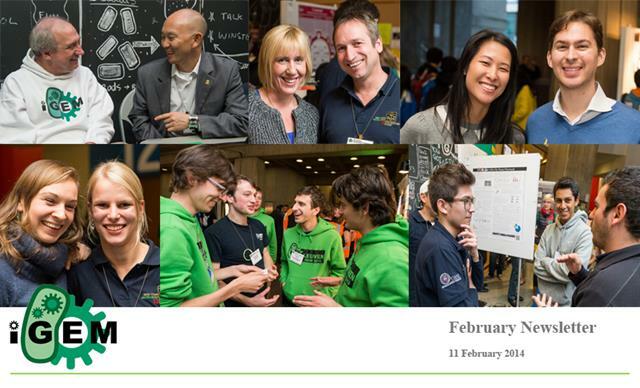 For more information on Registration see 2014.igem.org. Just starting out? Getting ready for iGEM? The competition is very flexible! However, there a few things you should consider before the iGEM season begins. We have put together a page where you can get a general idea of what you need in order to participate at Start A Team. And of course, all of the other iGEM tracks such as Health Medicine and Environment are still available to participate as well. For details please see the Tracks page. From DNA synthesis to pizza night, every team needs help funding their project. In our Funding How-To page you will find fundraising tips, crowd funding sites and useful funding opportunities from all around the world! Be sure to stay tuned, more funding options will be added as they become available. Visit 2014.igem.org/Funding for more information. All teams have to meet the general requirements to participate in the iGEM 2014 competition. In addition, some of the new tracks have their own individual requirements, so be sure to follow those as well. 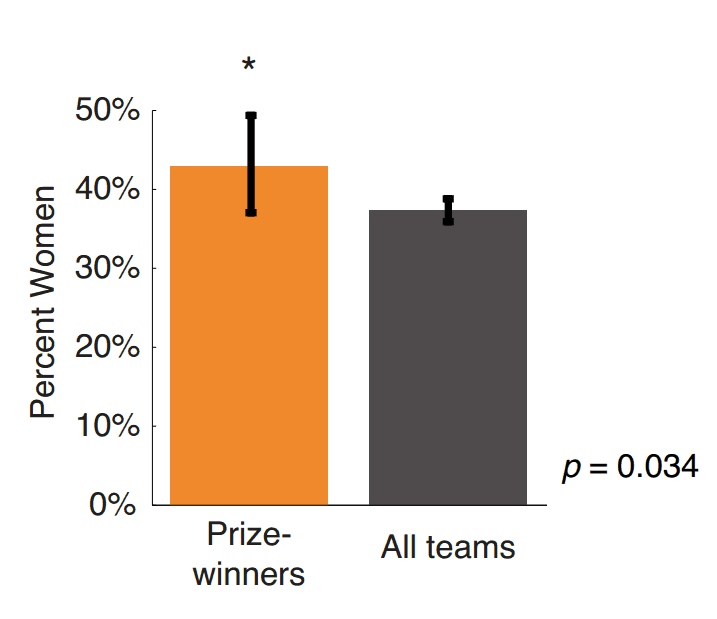 It's official, having women on your team helps you win iGEM! Read more about the iGEM 2013 Paris Team's study and find out how you can help at 2014.igem.org/Gender. ACS Synthetic Biology will release a specail issue dedicated to iGEM teams who pariticpated in 2013! More information coming soon.